Originally published June 24, 2011 in Shelf Awareness for Readers. Reprinted here with permission. Receive bi-weekly Shelf Awareness for Readers in your inbox by registering here. "Of course I have wondered if you are dead, but you aren't. It isn't possible. I need you too much for you to be gone forever." This all-too-human sentiment weaves together the lives of three otherwise unrelated characters in Morag Joss's (Half-Broken Things) most recent novel, Among the Missing. Joss explores the aftermath of a bridge collapse in a small tourist town in Scotland; with several people dead and still more unaccounted for, those left behind have to deal with a story that has pieces missing. Each of Joss's three main characters brings a different perspective to the events surrounding the collapse. Silva, the one left behind, clings to the hope that her family is still alive; Annabel is one of the missing, a confused, lonely woman who has used the tragedy to start anew; and Ron, struggling to find direction for his life, who suddenly finds himself with a sense of purpose derived from the tragedy of the bridge victims. The novel is slow but steady, a mystery that strolls through events rather than rushing them. It is this subtlety that makes the novel successful; though the collapse of the bridge is dramatic in its own right, it is what follows that allows Joss to delve into the very human side of grief and loss. 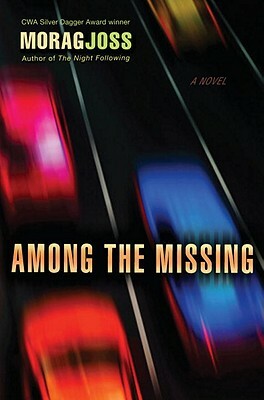 Among the Missing achieves the remarkable feat of allowing us to know both what it is to be left behind and what it is to be the one leaving. This one sounds really good! Would you say the format is more interconnected short stories? I like that the author takes the time to slowly unravel the mystery. That feels more realistic, especially when it involves such a big event where information is scare. Great review! I wouldn't say connected short stories - it definitely reads as a novel. But the three main characters are all very distinct and have different perspectives on both the tragedy and each other, and weave together very nicely.